What do I miss about home? Chic-Fil-a Sauce, Driving Freedoms, Salt-Vinegar Chips, Pine Trees, Fall Colored Leaves, Bonfires, Scorching Hot Showers, Chili, Heinz Ketchup, my beautiful golden retrievers, and the list could go on and on…. 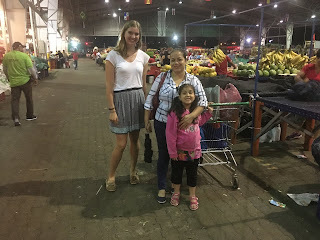 I recently attended a conference where I met a woman who has been serving MKs (Missionary Kids) and their families for the past 5 years in Costa Rica. She described cultural shock and adaptation as “Death by a Thousand Papercuts”. And not culture shock in how mainstream social media describes it as when you can’t find your favorite foods or people don’t speak your native language. But rather the core parts of daily life, the imbedded thoughts and ideas of people, the forsaken truths you believed to be universal until you realized the whole world is not identical to your worldview. But why “Death by a Thousand Papercuts”???? Because it is not one huge cultural avalanche that hits us hard and knocks us to the ground, but It is those small things, those tiny cultural differences that cut away at us over time and make us ache for home. Most people are fairly adaptable and able to be flexible to various cultural differences. And while you may think you are fine at first, before you know it you are cut and bleeding all over the place. So I have been down here in Costa Rica for almost 9 months. I am pretty sure about one-third of my family and friends think I am on a long-term vacation (I’m also pretty positive that some of them think I’m in Puerto Rico, not Costa Rica). Although to be fair, I haven’t posted much on social media or communicated with others about what I have been doing. MY BAD GUYS, I’ll try to be better!!! 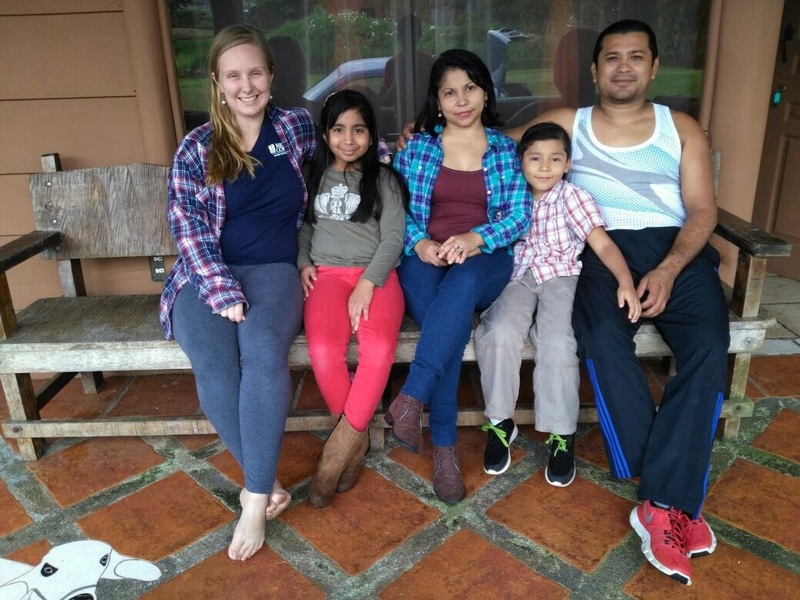 Even though the majority of the people close to me know I have been working and serving down here in Costa Rica they probably still do not know the ins and outs of my daily life, job responsibilities, and projects I have been working on. It’s really hard for me to put to words or even fully explain to MY PEOPLE my new reality. How do I express how high fashion and appearance-oriented Ticos are? That women here are always wearing heels or make-up, and that my nice clothes somehow don’t even measure up to their standards of beauty? Or how do I describe to this family-oriented culture, with 30-year old married men asking their moms to do their laundry and endless big family meals that I miss my solitude and independence at times? 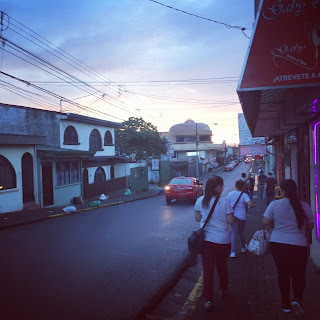 How do I paint the scene of the Costa Rican streets; the noisy cars who will run over pedestrians, the cat-callers who literally inhabit all the uneven sidewalks of the city? How do I explain that Costa Ricans are socially oriented and therefore their directions use landmarks (like left at the mango tree and 100m north) and not street names and house numbers? Talk about confusing. Or that bus routes and stops are not easily marked or found on the internet, but go up to anyone on the street and they will most likely be able to point you in the right direction? It isn’t even one big cultural difference that makes me want to throw up my hands and call it quits, but the culmination of all the minute differences that wear me down. I could easily make a list of all of my cultural annoyances and complain for hours about what I miss about my home life (I also could just as easily write an equally long list about all the true blessings I have received and learned from my time here and what I truly despise about the States, but I’ll save that for my next post). It is easy to critique, it is more difficult to be grateful for this season of life. Or as my friend Angela wrote in the last blog post, finding contentment where you are. While I can complain and judge people and aspects of Tica culture as wrong, it’s more difficult to accept that we come from different cultures and we are all just DIFFERENT. My host family jokes that I am NicaTicaGringa (basically a mixture of Nicaraguan-Costa Rican-USA culture), but they also realize the cultural tensions of hosting someone from the States. Things like my more casual dress attire, or my time-orientedness or just my independent nature, which although not earth-shattering these things go against the grain of my well-dressed, event-oriented family. As much as I try to adapt to Costa Rica, there are cultural differences that will always still be there, because these differences are part of who I am. And not that I cannot adapt or try to understand their perspective…. but even as I feel called to these people, this community and this season of my life, I will never fit into this culture fully. I will always be an outsider. Just like that worship song sings, “this world is not our own”, this world is not my own. Hebrews 13:14 For this world is not our permanent home; we are looking forward to a home yet to come. Living abroad has been some of the loneliest times. While I am not almost ever physically alone, I find myself feeling isolated and lost. Now I recognize that part of it is the language barrier (no, I haven’t mastered the art of Spanish flowing effortlessly from my lips), but part of it is the culture barrier too. 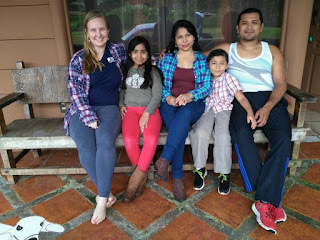 After a basic introduction and a few questions about how I like Costa Rica and why I am here, most people don’t inquire further. I am just the white gringa girl from the states. Lots of times at social events, my introduction of myself is followed by a “Hello my friend, how are you?” all in English, and while I laugh along with the others and sometimes even respond in English, I want to scream about how I am so much more than where I am from. Do people even know me as more than the girl from the States? Do people even know me at all? Taken out of my familiar home, away from my support system, I find myself leaning more on God to get me through the tough times. Before coming down here, God spoke to me through a sermon saying… I am more concerned with building up your character than your comfort. God has been faithful in molding me, challenging me and building up my character. These struggles with the culture and language are drawing me closer to God, and waking me up to realize how much we need to rely on God’s fortitude and strength in our daily lives. It makes me ask questions about “Who am I?” and “What is my identity?” and “How am I to love those around me more deeply?” These hard questions hit me at my core. God is refining me. And I would be lying if I said, I haven’t thought about giving up or going home. Or that I don’t look up flights almost once a week. Because I mostly definitely do. This process of refinement is hard. Acculturation into a new culture, family, and language is beyond words, however I will stick with difficult. But the relationships and blessings God is weaving down here with my family, community and team are so worth it. 1001 cuts and counting….